Travel, Love, Manners, and Sunscreen – Everything A Lady Needs! My Darlings! 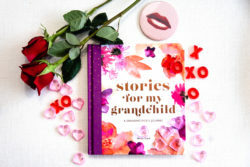 This week has been a doozy: From How to Bond With Blended Grandchildren, to Do’s and Don’ts for Using Dating Apps For Women Over 50, to Fashionable Places to Take a Girls’ Trip, with some sunscreen and manners thrown in, this week’s blogs were robust! As you may know, I launched a community for women: MOXIE! It’s already a great place for women to connect, it’s supportive, safe, and made just for women like us. I hope you’ll join me there. I like to think of it as an online place to share a coffee, tea, or even a cocktail while supporting one another, without ever leaving the comfort of our homes.